Camp NaNoWriMo is just over two days away, and since our minds are racing at top speed trying to tie up our outlines, it is easy to forget other last minute things that NEED to get done before sitting down to write. Here is your ultimate Camp NaNoWriMo checklist and I hope it helps! Finish Your Outline! – This is an obvious one, but it is the most important one. Even if you are a panster, have some sort of idea of how you are getting from point A to point B so you won’t waste writing time trying to think about what happens next. CLEAN Your Writing Space(s) – On June 30 take however long it takes to completely clean and organize the places you like to write. I will be clearing my desk, organizing all the scattered papers and pens in my drawers, and leaving out my outline so I can easily refer to it while writing! If you write in multiple places, make sure they are all tidy so you don’t waste precious writing time trying to clean them up. This goes for your home in general! It is hard to write surrounded by mess so take the day to deep clean because you won’t want to spend time doing so when you should be writing. Gather Your Writing Snacks/Drinks – Again, the day before, buy all of your writing snacks and drinks so that they are ready for you as the clock strikes midnight…or whenever you decide to start writing on July 1st! For me, I will be making sure I have a lot of green tea and coffee because apart from water, that is all I drink! Gather Up Your Motivation – By this I mean to figure out what motivates you to write, whether that is a certain book, writing related YouTube videos, or even listening to a writing podcast. Whatever it is that replenishes your creativity and motivation to write, have it at your fingertips for whenever you find yourself needing it. For me, I will be making a YouTube playlist of certain vlogs and videos that inspire me to write! Follow @NaNoWordSprints on Twitter – This is an account that is active during Camp NaNoWriMo and NaNoWriMo that offers writing sprints for you to partake in. They range anywhere from maybe 15 minutes to an entire hour, and are usually happening at any point in the day for you to jump in. I am always very productive during these writing sprints, and I really recommend giving them a try! Also, don’t forget to check out my last blog post and follow me on social media for more writing and bookish related posts! When I was ten years old I truly fell in love with reading, finally discovering my first passion that still is a large part of my life today. I never thought that reading would lead me to other passions though, such as blogging and of course, writing. Now writing and blogging are also insanely important things in my life, but I never thought reading would guide me to more passions at the time. I am still discovering new passions because of reading, writing, and blogging, such as YouTube. I decided to start vlogging my day to day when it comes to writing and being productive overall, and while I am still working on making them presentable for the rest of the YouTube community to see, it is a new process that I am really enjoying. This just goes to show how life is always changing and so are you interests. As we go about life we lose interest in the things we used to love, but our love for things also expands, and we begin to discover new interests along the way. However, you have to be open minded to let these new passions take flight, and not shy away from them. Here are a few tips I have gathered over the years that will help you expand your creative horizon, and really tap into your full potential as a creative person. Dive Head First Into Each New Idea – Don’t just dip a toe in, but fully submerge in each possible new passion and opportunity you are presented with to get the full experience. It may end up that that certain thing isn’t for you, but at least you will come out of it knowing you put 100% into it. For example, maybe you want to start a YouTube channel but the idea of filming something and then editing it sounds a little daunting to you. Well try it out for a day! Film something and edit the ENTIRE thing, and see how it goes. Maybe you will enjoy the process or maybe you won’t, but at least you tried. Keep Your Eyes and Mind Open – Let these new passions come naturally, but also be actively seeking them. That might not make sense, but what I mean is to continue reading, watching, and listening to different topics and ideas, and maybe one will jump out and grab you. Explore new content and see what opportunities are out there. An example of this is maybe you love to write but writing your own story and characters has never been something that has really gripped your interest. But guess what, there is fanfiction websites where you can write WHATEVER you want and still share them, a well as allowing you to connect with other writers just like you. Sometimes it takes some digging but there is a place for everyone out there. Always Be Creating – Being creative is all about creating. Whether that is art, writing, baking, or even an idea, always make sure you are creating. Even if it the outcome isn’t amazing or life changing, enjoy the process of creating and keep at it. One day something great will come out of it, but that is why you must always be creating! Try New Things – This is really important and has been the theme of a lot of the other tips above, but what I mean with this tip is to read books you don’t usually pick up, listen to music in different genres that you have never heard of before, and constantly try different hobbies. You might discover you love reading books about history, or love listening to jazz music…the possibilities are endless unless you don’t try. This blog post was really brought on by me trying out vlogging and editing videos, and since I loved it expect to see some writing and book related videos sometime soon! It just reminded me that there is so much out there that I can still be passionate about, and I should never stop looking. Nothing will ever compare to my love for writing, but that doesn’t mean I can’t have a passion for other things, and the same goes for you! July is always by far my best reading month every year, mostly due to the readathons that take place during it, and because of that, I am always really excited to make my TBR for July. Anyways, here are just a few of the books I want to read next month, and I hope you enjoy. This has been a book I have been meaning to get to for about a year now, but now that the movie is coming in August, it is time to actually read it. 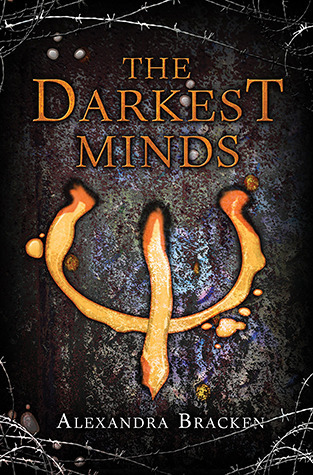 The Darkest Minds is the first book in a YA dystopian series that follows a group of kids at a camp with special powers. Our main character is named Ruby, and other than that I have no idea what else it is about. I have heard great things about it though, so I am looking forward to joining the bandwagon and prepping for the movie! I have yet to read a V.E. Schwab book and I feel like this is a good place to start. I have heard nothing but fantastic things about this series by V.E. Schwab, and I am so, so excited to finally join the club of her fans. 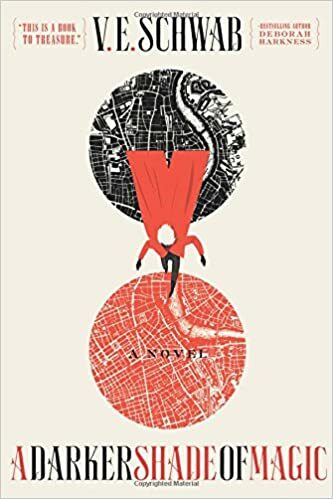 All I know about this book is that it takes place in a world that has different London’s like red London, grey London…those are all the London’s I know that are in the book, but there are a few more. It also follows a character named Kell that can jump between these different London’s and honestly, that is enough for me to want to read it. 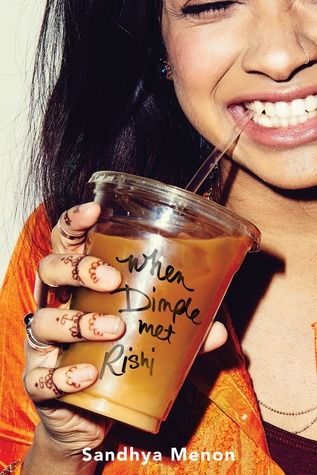 A few months ago I read When Dimple Met Rishi, Menon’s other contemporary book, and absolutely adored it so I am looking forward to her brand new one! I borrowed it from my library as an ebook and I don’t usually read ebooks, but I am willing to make an exception for this book because I have been highly anticipating it. 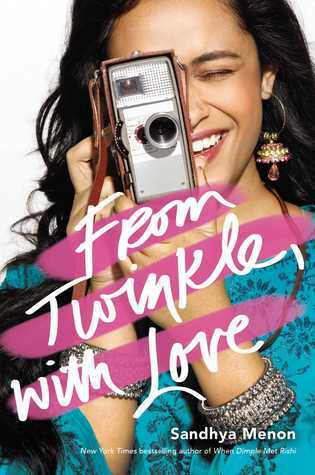 From Twinkle, With Love follows an aspiring filmmaker named Twinkle who is offered the chance to direct a film for an upcoming summer film festival with fellow film geek, Sahil, and she jumps at the chance, especially since it gives her a chance to work with her longtime crush, Sahil’s twin brother. I love reading books where the main character is chasing a creative career, and I am super excited to read it! Again, I have only heard fantastic things about this book, and I will probably pick it up during the Biannual Bibliothon (a readathon taking place from July 14-20) because I have a feeling I will want to just binge it in one sitting. 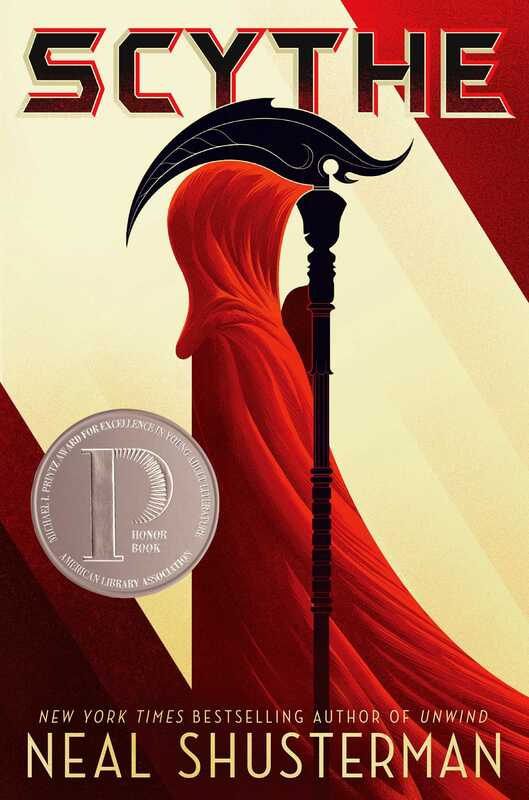 From what I gathered it takes a place in a world where humans have conquered everything from diseases to death, and to keep the population in check they have Scythes…essentially grim reapers on earth. Our two main characters are apprentices to Scythes, but it is a burden that neither of them wants. I love dark, twisted books like this and am intrigued to see what it turns out to be. Of course I need another contemporary to read in July, so what better than Since You’ve Been Gone, a classic favourite of mine. I cannot remember when I read this book last, so a re-read is overdue. Since You’ve Been Gone follows our main character Emily whose best friend, Sloane, has mysteriously disappeared. However, she has left behind a summer bucket list filled with strange and crazy things, and Emily is determined to complete it in the hopes of it leading to her friend. I always have a blast while reading this book, and cannot wait to visit the fun again! Last Blog Post: Reading + Writing Update! Sometimes we just need to escape the world and dive into a good book that makes us forget about everything around us. Recently I have been needing books like this a lot, which means I have been looking back at my shelf trying to find the right books to do so. So here is a list of my top 5 books I turn to when I need a distraction, and hopefully they will work for you too! This book is inspired by the Arabian story One Thousand and One Nights where every night the king of this land takes in a new wife and when the sun comes up the next day they are dead. After our main character’s best friend becomes the next victim of this king, our main character, Shahrzad, volunteers to become the king’s new wife in hopes of killing him. However, she manages to survive through the night and then the night after that, and realizes the king may not be the monster she thought him to be. I had high hopes when I first read this book because of all the great hype it has surrounding it, but I was not expecting to be as captivated by it as I was. The writing is beautiful and rich, and the setting is so vivid that I felt as if I was actually there. From page one I was in love, and it only took me a day or two to finish so if you are looking for a good book to distract you, this is definitely the one! Obsidian is a genre blend (in my opinion) of contemporary and sci-fi, following a girl named Katy who has just moved to this tiny town in Virginia with her mother after the death of her father. They move next door to two, strange twins, Dee and Damon, and after Katy becomes close with both of them, she realizes they are harboring a dark secret and suddenly is pulled into their crazy world. This might be one of my favourite feel-good books because it is just a fun and easy read. I always fly through it super fast and I get lost in the thrilling lives of these characters. Of course I have some problems with it, but it never fails to take me into its world with open arms which is what I turn to it for! Me Before You is an adult contemporary following Lou, a young , twenty-something year old woman who has recently been let go from her job and ends up becoming the caretaker for a man with quadriplegic. He is cold and rude at first, but they soon warm up to each other as the book continues and their friendship blossoms to something more. This book has all the feels and I read it in one night! I remember finishing it and finally coming up for air, not even realizing it was already the next day. The great thing about this book too is that there is a movie as well that you can watch right after you finish the book. It is really good and stars Emilia Clarke and Sam Claflin so yes, pick it up! Another contemporary recommendation, but this one is a young adult contemporary which is told from two perspectives: Dimple, who is into the sciences and is a practical girl, and Rishi who is a hopeless romantic. When Dimple’s parents let her go to summer program for web programming, she is ecstatic, but what she doesn’t realize is that it is a ploy for her to meet Rishi in their hopes of him being her “ideal Indian husband”. Since summer is approaching it is the perfect time to pick this book up and give it a read. It is hilarious and adorable, filled with quirky characters and quirky scenes that you can’t help but love. I found this book really realistic in terms of teenage relationships and appreciated it a lot more because of that! Lucky for you, this book is part of a six book series! It takes place in a world where three different types of vampires exist: strigoi, the evil vampires, dhampirs, the half-human and half-vampire protectors, and the moroi, the peaceful and mortal vampires. Our main character Rose is a dhampir, born to protect her best friend Lisa who is a moroi. Exactly one year after the two of them escaped their school, they are found and brought back, forced to always be watching their backs because they don’t know who they can trust anymore at a school where they are supposed to be safe. These books are filled with action, adventure, and romance and I promise you will have a blast marathoning this series. I remember reading these books a few years back and being totally consumed by the world and characters for a good week or two. This one also has a movie for the first book, and while it isn’t the best book-to-movie adaptation, it is still a lot of fun! I cannot believe the next session of Camp NaNoWriMo is right around the corner which means it is time to prep! Here is a quick guide to how to have the best Camp NaNoWriMo possible, and how to get the most out of it. At the end of each week, sit down and plan out what you are going to write for the next week. It can be a detailed or loose outline, but this is just a way for you to be more productive during the week. Knowing where you need to get to, and the steps you need to take to get there will make it a lot easier to write all the words. If you just wing it each day, you might get some writing done, but definitely not as much as you would if you know how to approach each day. This is something I have recently realized and I am so, so glad I did. All these years I have been focused on getting the most words down possible each day, which meant some days I would only write anywhere from 20 minutes to 1 hour. I should have focused more on the amount of time I spend writing each day and you should too! Now instead of going into each day aiming for 2,000 words (which most days I don’t even hit), I focus more on trying to write for one whole hour each day, even if I somehow surpass 2,000 words. When I do this, I get a lot more writing done, and it takes more of the pressure off each day! It is the perfect time to start developing writing triggers to help you get into the mood for writing since Camp NaNoWriMo is still 12 days away. If you aren’t sure about what writing triggers are exactly, then here are some examples! Drinks – Make a certain type of drink that you don’t have any other time except when you are writing…whether that is a different type of flavored coffee, fruit infused water, or whatever you want but ONLY have it when it is writing time. Candles – Find a scent that reminds you of your story and light it whenever you are writing. Maybe for a fantasy story you have a candle that smells like the forest, or for a contemporary you have one that smells sweet. Whatever reminds you of your story the most, use that! Music – Making a writing playlist is a lot of fun (but don’t spend the time you should be writing making it), or a lot of authors have their playlists linked on their websites so you can check those out as well. Personally, I listen to the Hamilton Mixtape because it even has a song called “Wrote My Way Out” which always makes me want to write. Switch up the places you write each week to keep things fresh and inspiring. It can be a different place in your house or it can be somewhere outside of your house like the library, a coffee shop, or somewhere outside like a park. I don’t like writing in the same spot each writing session, and am always moving into different spots because it definitely stumps my creativity. Those are five ways to have the most productive Camp NaNoWriMo, and I hope you enjoyed and found them helpful! Don’t forget to check out my last blog post, and social media accounts which are all linked down below. I was debating whether to post a reading and writing update today because it was a pretty unproductive week, well reading and writing wise. I did finish reading The Elite by Kiera Cass, the second book in The Selection series, on Monday. I ended up listening to it on audiobook and flew through it since it was a lot of fun to listen to, and was also a short book. The other book I was reading at the time was Emerald Green by Kerstin Gier, and I am still reading it. Honestly, I haven’t made much more progress in it but I’m hoping I will be able to get a decent chunk read tonight! As for writing, I actually have a bit to update on. This past week I have been rewriting and editing writing pieces for my final English project, but I have also been working on an film related article. I finished the first draft of it earlier this week and have been taking my time trying to make it good. I plan on posting it on my blog sometime in the next few weeks so keep an eye out for it! Hopefully after this coming week I will be diving back into the first draft of my WIP because I am so, so close to being done. It is absolutely terrible, but I just want to finish putting the words on the page so I can go back in a few weeks and clean it up! It has been a while since I made a list of writing contests so I decided it was about time to make another. I put these lists together to hopefully inspire and motivate you to enter them, and make it easy to do so by having a bunch of their links at your fingertips! Anyways, here are a couple writing contests you should enter with NO entry fee. Scholastic Art & Writing Awards – Writing awards in various genres for American and Canadian students in grades 7-12. Deadlines vary depending on genre of award. Bennington College Young Writers Award – Seeks both poetry, non-fiction, and fiction from grades 10-12 students from around the world. Contest is open from September 1 to November 1 every year. Poetry limit: 3 poems. Non-Fiction/Fiction limit: 1500 words. Crucible: Poetry and Fiction Competition – International writing competition seeking both poetry and fiction that is accepts submissions until May 1 of each year. Fiction limit: 8000 words. Poetry limit: 5 poems. Polarexpressions: Summer Poetry and Short Story Contest – Accepts fiction and poetry submissions from Canadians of all ages up until July 31 of each year. Poetry limit: 48 lines or less. Fiction limit: 750 words. Micro Sweek Flash Fiction Contest – International flash fiction contest that occurs every month, accepting flash pieces up to 250 words. Those are a couple of varied writing contests for you to enter, and I really hope you all consider submitting to at least a few! It is important to get your name out there and test the waters. A lot of the time contests you submit to will give you feedback on your story even if you didn’t win, which is very, very valuable. Use these contests to motivate you to write because then that inspiration will stay with you! Don’t forget to check out my last blog post as well as my social media accounts where I post more fun bookish/writing related content! Even if you write for fun and that is all, it is still important (and fun) to set goals for yourself and motivate yourself to keep going. I love making goals for myself and here are 5 goals that I think every writer should have! To Finish That Story! – Whether it is a book or a short story you are trying to tackle, don’t procrastinate it, just finish the story! Remind yourself that the words don’t have to be good, just get them done and on the page. You don’t want to be a writer who starts things and then never finishes, because that is only setting yourself up for bad writing habits. To Write Every Week – I wanted to put to “Write Everyday” but I know for most of us (myself included) that is a struggle. However, still try to aim to write everyday if you can! Writing every week is a manageable goal and is really important because you want to keep that brain full of creativity. Whether you write 50 words or 6000 a week, some words are better than absolutely no words! To Search for Your Voice and Style – This is a really important one because without your own unique voice and style, you won’t be able to reach your full potential as a writer. When you are first starting out it is natural to mimic a favourite author of yours until you find your own voice and style, but as you write more and more your voice and style will start to filter through. It is essential for you to harness all that and dive deeper into it so that you understand how you write because then your readers will too! I was in the mood to do a fun tag, and I love Netflix so this was the perfect one. The original video is here, and if you want to do it too then I tag you! 1. Recently Watched:The last book you finished reading. The last book I finished was The Selection by Kiera Cass which happened to be a re-read for the millionth time. It is a dystopian that is basically The Bachelor meets The Hunger Games, but not as vicious or bloody. Just as dramatic though! There is a lot of mixed reviews because people either love it or hate it, and while I do have problems with it, I can’t help but adore it! 2. Top Picks: A book/books that have been recommended to you based on book you have previously read. A few years ago I watched Sasha Alsberg’s video where she recommends books based on other more popular books, and one was if you liked City of Bones by Cassandra Clare (which I love!) then you should check out Ruby Red by Kerstin Gier. I ended up falling in LOVE with Ruby Red and the other two books in the series, and will forever be in debt for this amazing recommendation. Emerald Green by Kerstin Gier! The third and final book in her Precious Stones trilogy which I just raved about. It is amazing and I am currently re-reading it for the third or fourth time! Two that I have read are City of Bones by Cassandra Clare, this is a very popular book that I am sure about 85% of YA lovers have read, and then an obvious choice would be Harry Potter and the Philosopher’s Stone by JK Rowling. Two that I haven’t read or have no interest in would be A Court of Mist and Fury by Sarah J Maas and Children of Blood and Bone by Tomi Adeyemi. I have a MASSIVE interest in reading both though so hopefully they won’t be on my TBR for much longer! It is really hard for me to remember what books made me laugh the most because honestly, I don’t think I laugh much while reading…or at least catch myself laughing and remember what exactly I found so funny. So I don’t think I have an answer for this one! 6. Dramas: A character who is a drama queen/king. Princess Eadlyn Schreave from The Selection series (books #4 + 5). She is so snobby and annoying and because she is a princess, believes she is much higher than everyone else. I almost had to put the book down because she overreacted about every little thing. The closest I have to this would be my copy of Percy Jackson and the Olympians: The Titan’s Curse graphic novel. I still have yet to read it, but I am looking forward to it! The Lunar Chronicles by Marissa Meyer because it has been forever since I last read them. The last time I picked them up was three years ago when the final book, Winter, came out…which is absolutely insane. I really need to try and give them a re-read this summer because I remember little to nothing! 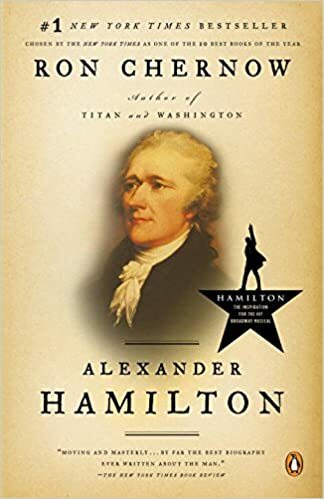 Alexander Hamilton by Ron Chernow. I am not even American but found the parts I have read so far of this book fascinating. I would also recommend listening to the musical soundtrack in order as you continue on with the book for the ultimate experience! You will take away so much information within the first few pages and it isn’t dull at all. Lady Midnight by Cassandra Clare…this book was just a rollercoaster of emotions considering each scene was pack filled with so much action and drama. It is safe to say I was emotionally exhausted by the end of it but it was so, so worth it! 11. New Releases: A book that just came out or will be coming out soon that you can’t wait to read. 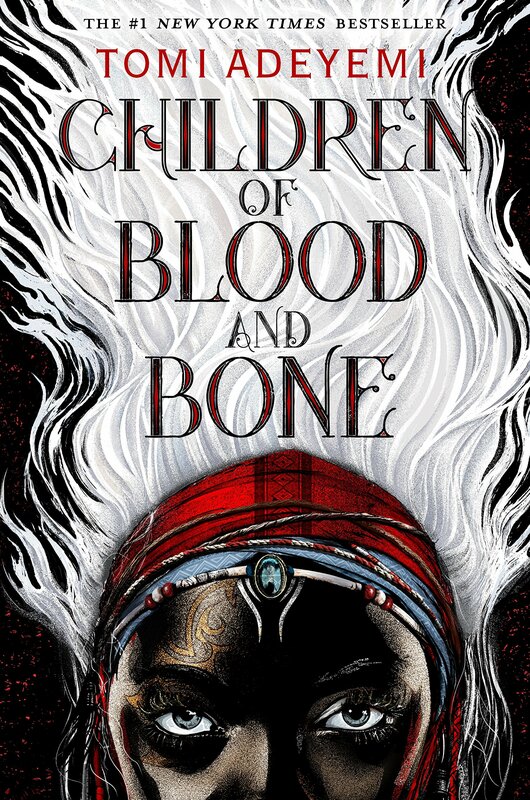 Children of Blood and Bone by Tomi Adeyemi! This is a massive fantasy book inspired by West African mythology that came out a few months ago, and I am so excited to (hopefully) get to it this summer. I have only heard fantastic things and ugh, I wish I had my hands on it right now. Those are all of my answers to the Netflix book tag and I hope you enjoyed. Don’t forget to check out my last blog post and social media accounts, all linked below for you!